Club Penguin Cheats by Mimo777 Club Penguin Cheats by Mimo777: New Club Penguin Mix "N Match Toys and Puffles! I love the lava lamp! Chocolate bunnies still make me hungry! Just in time for baseball season! Yum, popcorn! Yes, this is the same as the Series #1. 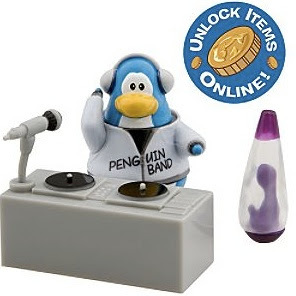 This has been a very popular toy, so Club Penguin brought it back, too! There are also new Series # 4 Plush Puffles! Yes, that is right, Series # 4! The puffles have different series numbers than the other Club Penguin toys. Did you already know that? I know some ppl get confused. What do you think about all these sweet new toys? Let me know if you have any of them. You can check out all the new puffles and toys here. I don't understand how found theese toys, I can't see them when I click in the toys. Ooh, I like the white puffle!! Nice new CPG background and banner! 'Mimo's Club Penguin Cheats! and whatever else I want to write about'. LOL! Awesome. i like the yellow puffle! the toys are awesome! i also like your new layout ;D! YELLOW IS ONE OF MY FAVOURITE COLOURS 2! Also, just to correct you, the vote on the side, its called iPod Touch..not iTouch. lol i got that white puffle cos it ws my b day so my friend bought me one hes so cute!!! BTW your new Banner is cool! the cencore that i was tryin' yo break is now revealed! Mimo today I found out that there is the new igloo catalog. It came out a day early so yeah I am just saying but If you already knew this then yea. Wow Mimo! 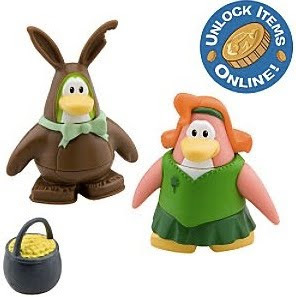 I love the Bunny Costume and Shamrock Dress!!! mimo are these new? i have had a white puffle since feb. i thought they were old. (but they did say series 4 on the card bit you get with it...) also, check out the mine and the two new igloo catalogues. Awesum! 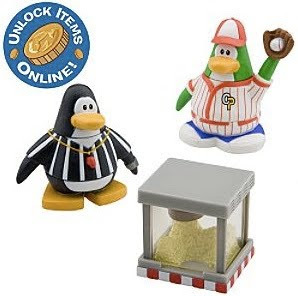 basbeall rules and I am so happy that CP have released a kewl baseball figure! Thanks again Mimo! -----------coolgem50---------------------- yeah its cool! but plz dont write in caps it hurts my ears! p.s sorry i didnt write CPG mod at the end of my last response! i always like the toys! Sorry that I couldn't comment Mimo! I was on a trip to this awesome place! But it was wet and COMPLETELY miserable. And why did you remake your website? I loved how it was! Mimo, do you mind telling me if you are a boy or girl? when the next puffle catalogue comes out on march 19th it will hav all the orange puffle beds and huts and things. i hav got 26 figures, 2 puffles, cheerleader and blue puffle hoody. I LOVE CLUB PENGUIN!!!! 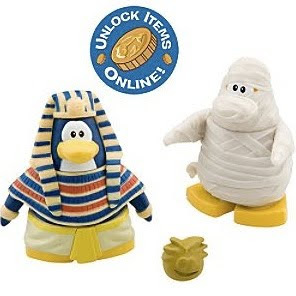 i think coin codes are a cool idea coz u can get clothes if ur not a member. they r cool figures! this is random but don't u think they should hav a clear igloo button so u dont hav to drag everythin back? slippeestars here i got credit! Mimo somehow finds everything early. Hey! Your right! Mimo hasn't posted on this yet! You can get a green clover igloo! Some people call it an iTouch for short. Mimo is a thirteen-fourteen year old (I think) boy. LOL, Its Mimo, anything is possible!Ask him! anonymous. you may not see the toys yet because they are new. they may be on the page soon! You may want to put the question too next time! Just copy and paste! 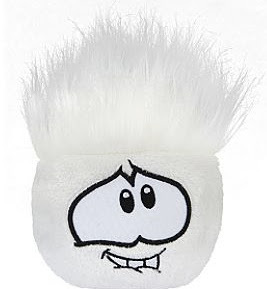 Nope, this is a differnt white puffle. Its a series 7!!! Its soooo cute!!!!!!!! It is nice!! Please dont put "CPG MOD" after your name if you arent modding!! Please! Mimo is a boy. You can read the Who is Mimo and the questions things on the right hand side of the blog. Read those! Nice theory! You could be right! And dont put "CPG MOD" after your name if you arent modding. Thanks! FYI: Not all of those are new, I bought some like last summer, like the dj, pharaoh, and mummy. Lol yeah love the part "and whatever else I want to write"
I believe it's short for iPod Touch. Something I noticed was that when you keep typing a word or something so many times or look at a word for so long, it doesn't look like it's spelled correctly. lol like for instant. games games games games games games games games games games. see my point? this is random but don't you think they should have a clear igloo button so u don't have to drag everythin back? You know, I agree. Mimo777 why don't you consider this like you considered moving the select language bar? It worked before so it might work again! The puffles that would come out of the hole in the mine are not there anymore. I wonder what that could mean. 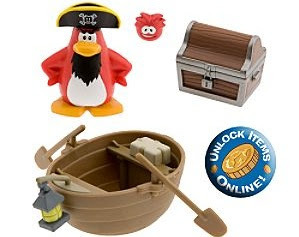 Did Rockhopper get his puffle back? Rockhopper is leaving a day before the penguin rescue squad will save his puffle. No prob. I got your back. That is weird because my white puffle i got 2 days ago has his blue tongue kinda sticks out and his eyes are bulging out! I have a question.When you buy a toy does the book number you get when you put in the code depend on the series of the toy?Thank you for listening.